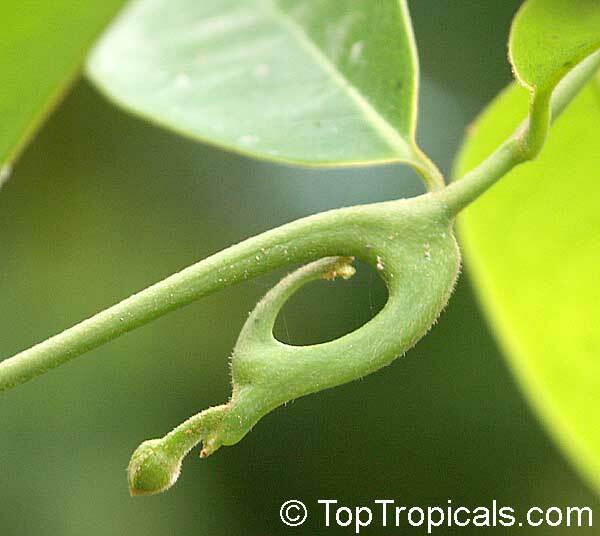 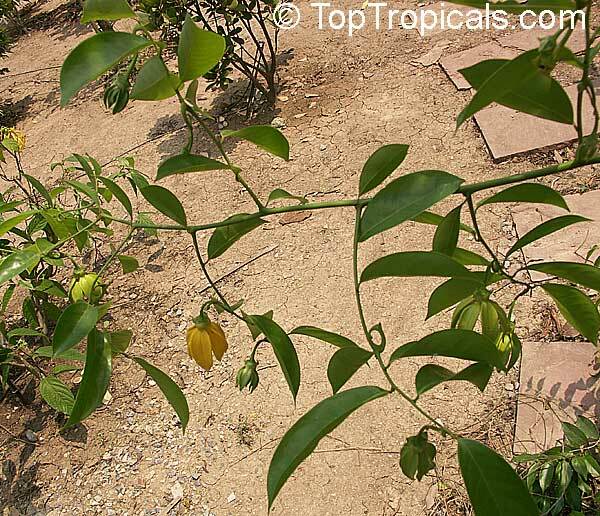 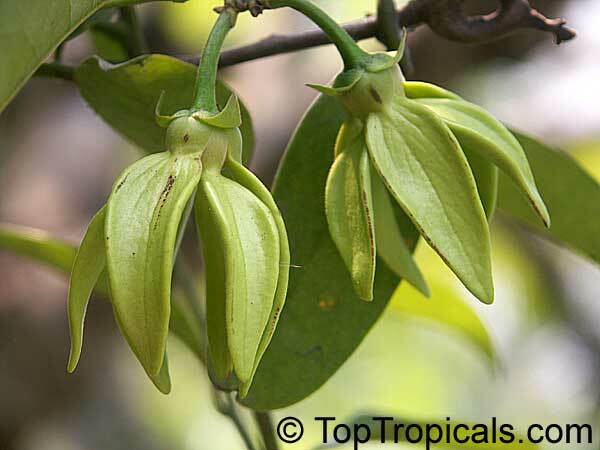 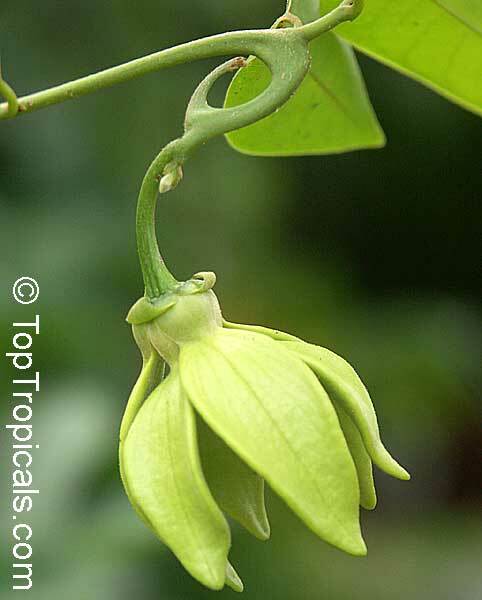 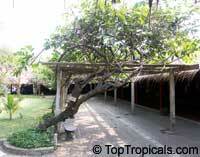 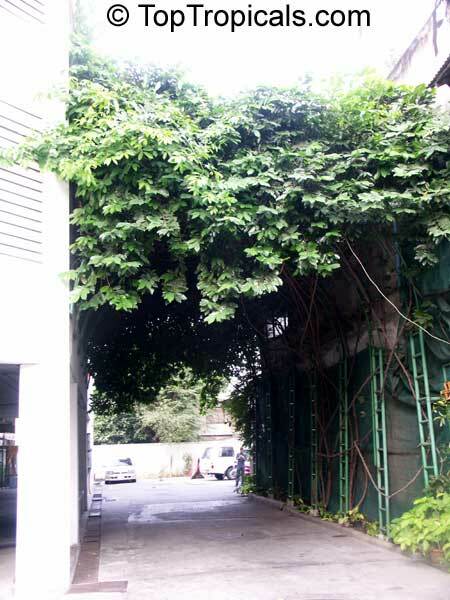 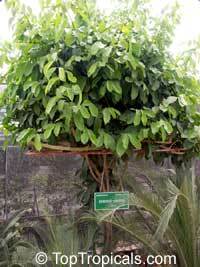 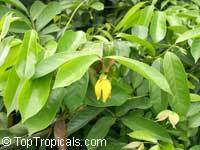 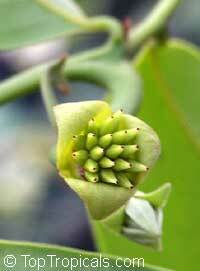 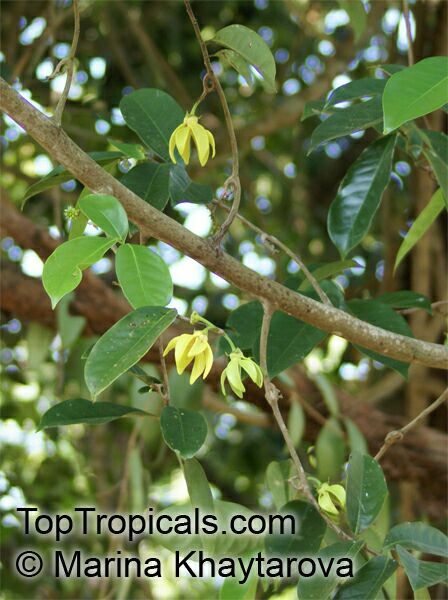 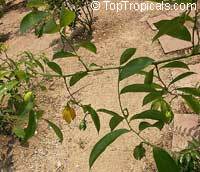 A brother of a famous Artabotrys hexapetalus, this plant can grow as a large woody vine or trimmed as a shrub. 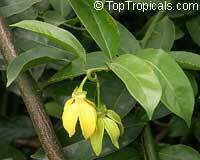 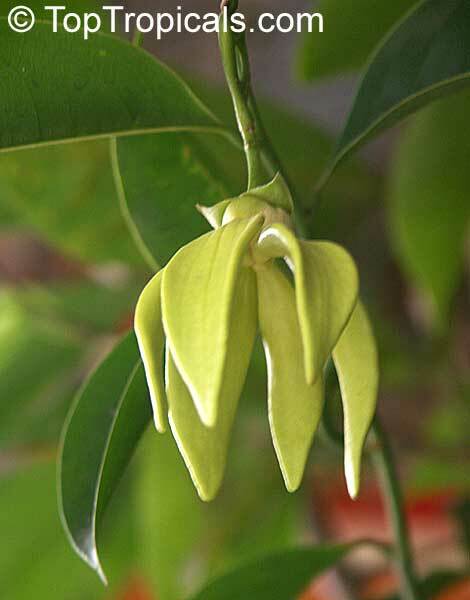 Flowers are very fragrant, with lemon-like scent. 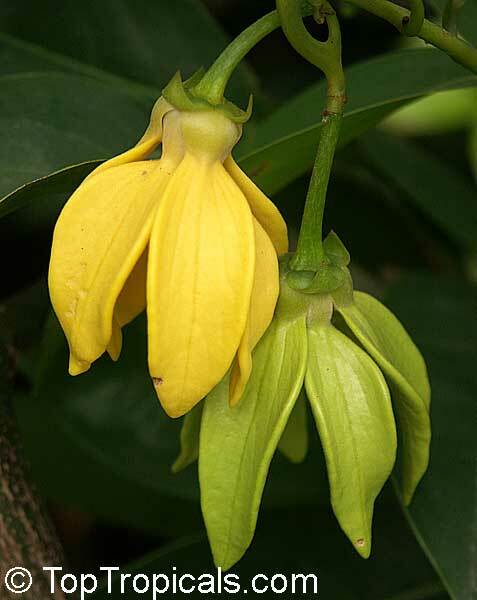 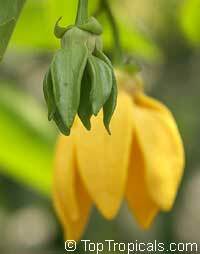 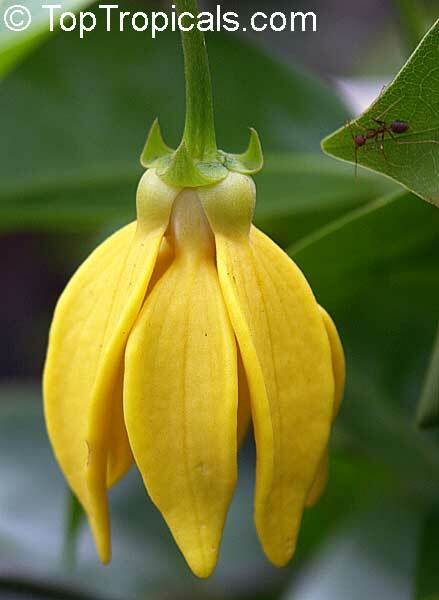 The perfume is strong only when a flower turns yellow, and the yellow flower lasts for a day or two. 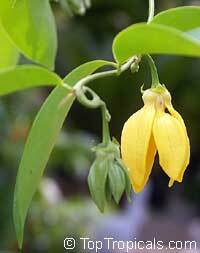 Blooms profusely from mid-spring to late summer. Requires support for best shape.